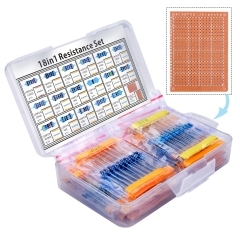 The soil moisture module is generally used to detect the moisture content of the soil. 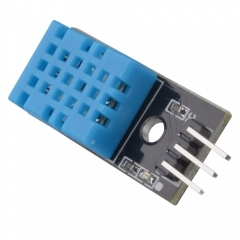 The blue potentiometer is used to adjust the threshold of the soil humidity, when clockwise to adjust, the humidity will be higher, the anticlockwise will be lower. 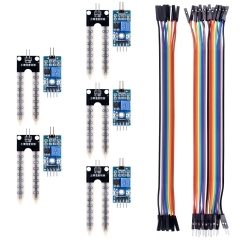 The digital output D0 can be connected directly with the microcontroller to detect high level and low level by the microcontroller to detect soil moisture. 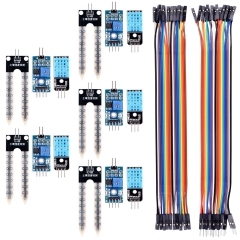 DHT11 digital temperature and humidity sensor is a calibrated digital signal output temperature and humidity combined sensor,which application-specific modules capture technology and digital temperature and humidity sensor technology to ensure that products with high reliability and excellent long-term stability. 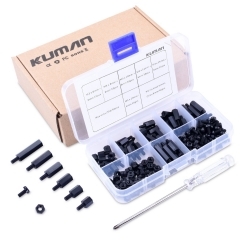 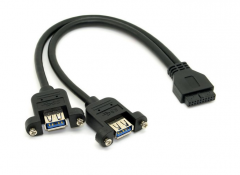 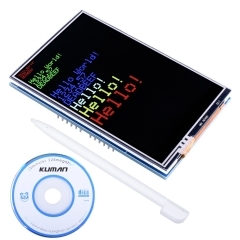 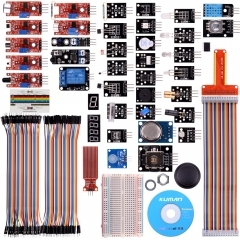 Kuman USB 3.0 2 Ports A Female Screw Mount Ty..
Kuman 37-1 Modules Sensor Kit for Raspberry P..
Kuman Temperature and humidity sensor module ..
Kuman Arduino UNO R3 3.5 inch TFT Touch Scree..
kuman 180PCS M3 Nylon Male Female Hex Utility..
kuman 17 Values pcak of 525 0 Ohm-1M Ohm 1% R..
Kuman 120PCS Breadboard Jumper Wires For Ardu..
Kuman 5PCS Soil Moisture Sensor + 5PCS Temper..
Kuman 5PCS Soil Moisture Sensor Kit with Jume..